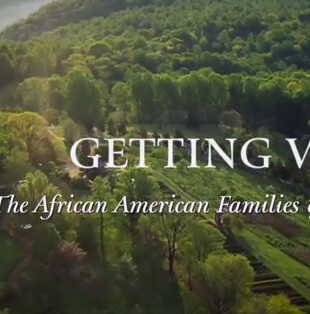 The Getting Word oral history project at Monticello locates and records the oral histories of the descendants of Monticello’s enslaved families. 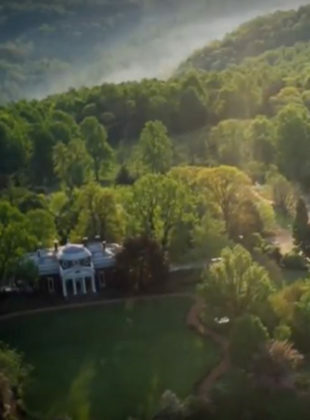 This rich treasurehouse of memories over seven generations helps to expand our understanding of life at Monticello two hundred years ago. Oral interviews are supplemented with research in newspapers, private papers, and public records. I was called to edit the Getting Word video project as the Monticello team was preparing for a significant installation of the project at the Smithsonian in Washington, D.C. It was an exciting prospect for me because I’d be working with adirector I really respect and knew I would learn from, I’ve always wanted to work on a museum piece, and with about a week to complete the edit from start to finish, it would give me a chance to try Apple’s FCPX Video app in a production environment working with many of the archival formats our patrons use in the library. My initial meeting with the director revealed we would be working with hundreds of source files (winnowed down from thousands) of historical images and almost no pre-existing footage – this was primarily a motion graphics job that didn’t allow much time for prep. After a short conversation we decided to cut the show on FCPX because of my previous (and positive) experience using it on simple compositing jobs. What ultimately became more useful though, was the tool’s ability to sort and search – the metadata capabilities of the application allowed me to search and sort shots from the script notes immediately, and I estimated that at the end of 5 days of work, I had saved approximately a good day of image prep and “bin management” over the way I had worked in previous versions of this editor. Some of the more sophisticated shots were composited in Motion 5 (notably the opening composite and the text pull on the Constitution @ 1:08) but anything with synch audio was done in X, and the audio – both scratch and finished – was recorded in the Director’s office to GarageBand just using a decent USB mic. I finished the audio mix within FCPX, using some of my favorite tools from the Logic Plugins (which I have mentioned before as being one of my top faves in the new app). Technically, the machines worked as promised and this was a very rewarding job; but more rewarding in that the project is about amazing stories and amazing people, and the team at Monticello is doing some wonderful work in bringing the true history of of this very special place, and the people who made it what it is, to the American consciousness. Slavery at Jefferson’s Monticello: Paradox of Liberty runs at the Smithsonian on the National Mall from January 27 – October 14, 2012. Jefferson has his own font – THJefferson Pro – which can be seen throughout the video, and I was made aware by my UVA library colleagues that a daguerreotype of Isaac Jefferson, housed in Special Collections, was one of the key images in our show.